MessageProcessor fail to process message ‘GetDecryptionKey’ for ’email’. System.Web.Services.Protocols.SoapException: Server was unable to process request. —> System.Reflection.TargetInvocationException: Exception has been thrown by the target of an invocation. —> Microsoft.Crm.CrmException: Access is denied. The System Administrator role in Microsoft Dynamics CRM is “special”, which is to be expected as it is basically the root security role that is granted to the setup user and users that have total access to things within the system. 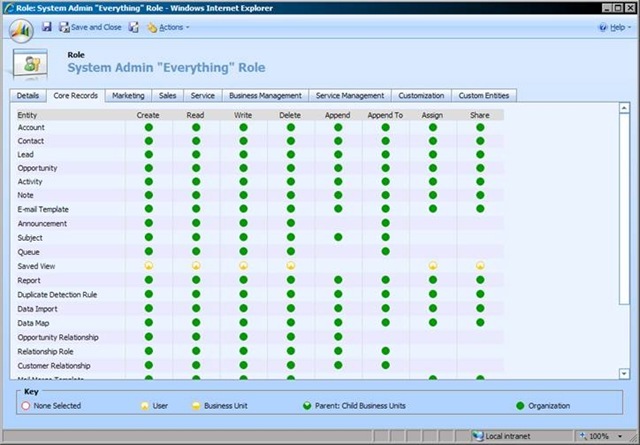 Grant a user this role, make them a Deployment Administrator, and give them the corresponding required AD permissions and the user has total control over the CRM system. But for today, I want to focus on the System Administrator Role and provide a bit of details behind it, some obvious and some not so obvious. First, what is the System Administrator role? Well obviously it is the role with the name System Administrator, but let’s be more specific. 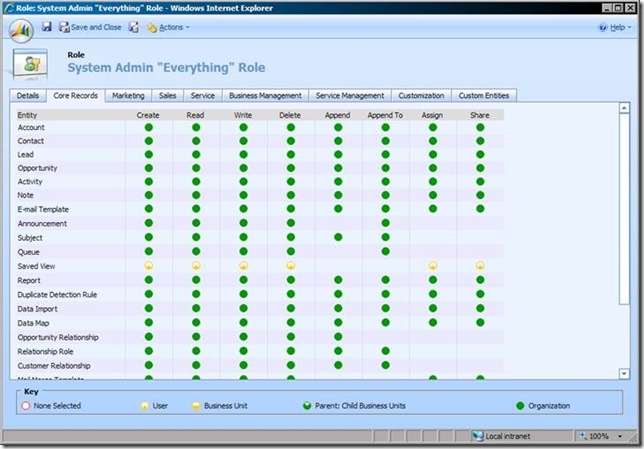 If you create a new role via the Role Editor and grant it all privileges and call it “System Administrator” it will just be a role with a lot of privileges, but it won’t be the System Administrator role. Here is why. To CRM, the System Administrator Role is any role whose Role Template ID is that of the known System Administrator Role Template. The GUID (627090FF-40A3-4053-8790-584EDC5BE201) of this template is well known and the template is created when you install CRM. As you can see, there are 69 missing privileges from your “everything” role. Why is there a difference? Well, this is because the CRM Role Editor UI does not allow you to set every privilege. To get around this you should use the “Copy Role” feature to make an exact copy of the role. This message is used by the Email Router Service and as such, the account that the email router is running as must have the System Administrator role. 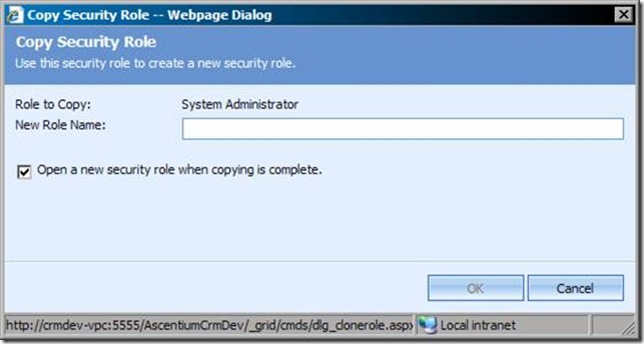 Unfortunately, there is no supported way around this, as even making a “copy” of the System Administrator role via the UI does not yield the desired results as the Template ID of the copied role is NULL. 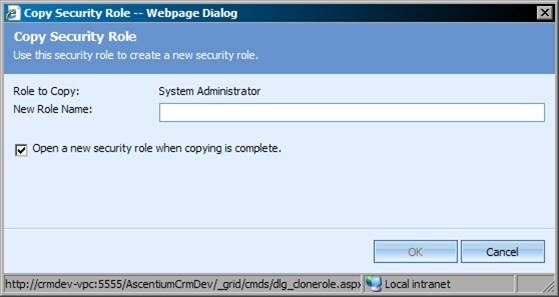 You also can’t set the Role Template ID in a supported manner either as this attribute is marked as not valid for CREATE or UPDATE. The only other operation I could find that appears to require the System Administrator role is registering your CRM installation. Special thanks to James Dulin and Ross Lotharius for helping with some background research on this post.